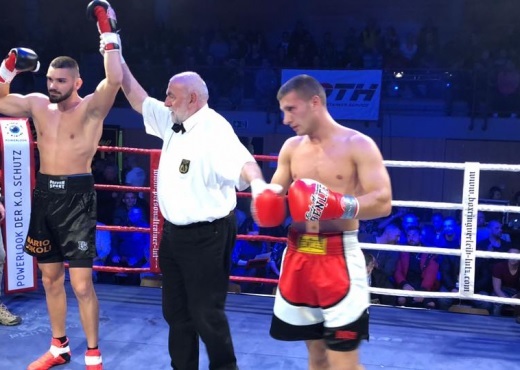 Yesterday took place the boxing duel between the Albanian boxer Mario Sokoli and Serbian Nikola Drobnjak in Karslsruhe, Germany. The Albanian boxer started this challenge by dominating the Serbian boxer. Sokoli is not unknown in Albania as he has previously been an absolute champion of the Amateur Boxing level. Sokol has twice thrown down his Serbian opponent twise by earning the necessary points to win this challenge. While it is noted that only 20 seconds where enough for Sokoli to beat the Serbian boxer he dominated completely the Serbian.